#Office365Challenge Today I want to chat about using the Term Store for Navigation – and I don’t mean in the Global Top Navigation, I mean in Libraries / lists. Thanks to Rheem and Paul for being the inspiration for this blog. My passion is to make things easier for people, help them adopt systems ONLY when it actually works for them. 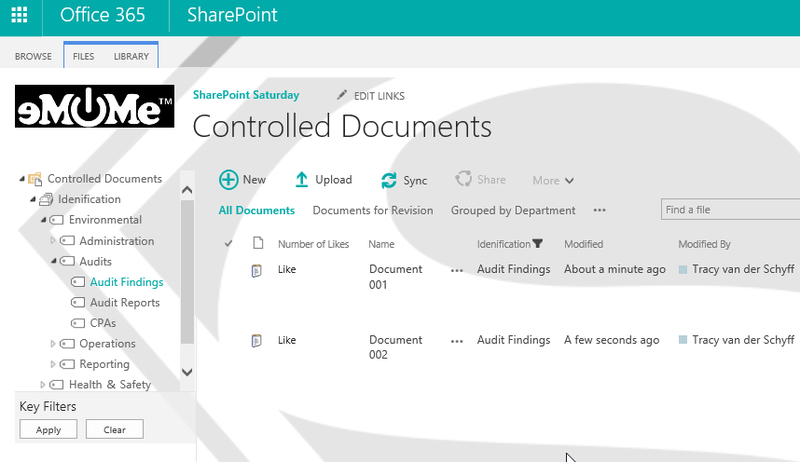 That’s why I’m quite happy to write today’s post – as it will solve some of the issues even I have with SharePoint. Again – be reminded that we normally have issues with things because we lack the knowledge or know how to make it better and use it correctly. This blog requires Term Sets and Terms in your Term Store – if you’re not sure how that works, refer to my blog above – which has links to other blogs as well on planning and building your term store. The scenario I have in my example is that I would like to link my documents to different levels for classification. These levels has relationships which is what causes the complexity. You don’t want your users to end up adding 4 or 5 columns of metadata as that will only frustrate them and add no value. 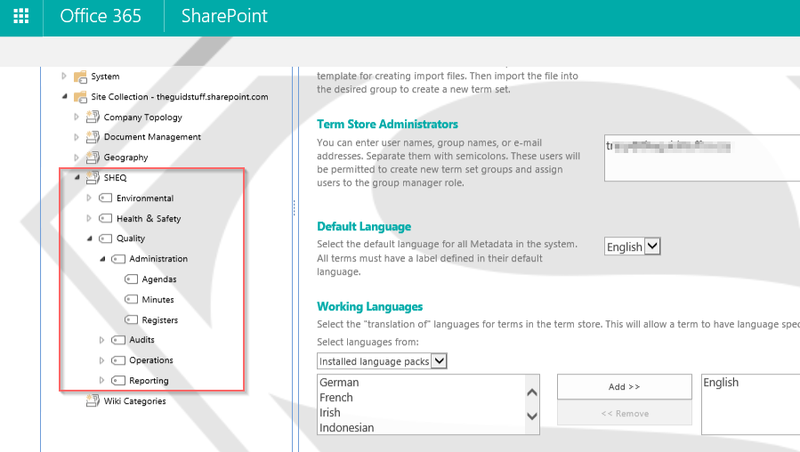 In my library, I’ve added a Managed Metadata column and selected the SHEQ level from my Term Store, for it to expand on. Now before we can use Managed Metadata for Navigation – there’s a couple of features that must be switched on (or you won’t see this setting in your library settings). When you expand and click on any of these levels on the left – it will filter the data in the library (or list). Adding 3 or 4 separate columns would not have allowed for the relationships. 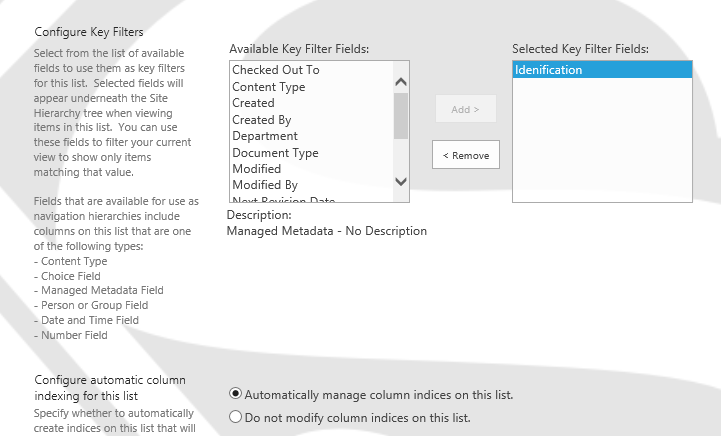 Just adding the managed metadata column also only shows one value (one column) – so to build views on these to group by first, then by second level is not possible. I think this is pretty awesome – and will be a great value add for business to easily navigate based on hierarchy!